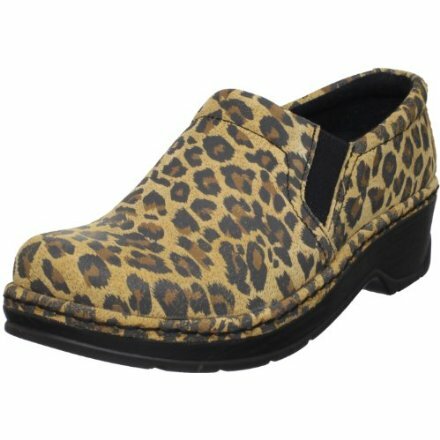 Add a little flair to your day with the fun Cheetah print textured leather of the Naples clog from Klogs USA. Designed for premium, all-day comfort for women who spend a lot of time on their feet, the combination of hard-wearing, high-quality leather and a supportive polyurethane outsole can’t be beat. Wouldn’t it be great to have a klog so comfortable that it felt like walking barefoot? Welcome to the world of “WOW”Komfort offered by KLOGS-USA. “WOW” is what their customers say as soon as they slip into any one of their styles. Just try one pair and you’ll agree that their klogs offer a better-than-barefoot approach to comfort.